Jason Alexander is Wildlife Gadgetman! Two of his favourite things in the world are wildlife and gadgets. He likes nothing better than finding interesting and exciting ways to use technology to help us get closer to wildlife and he's got some great ideas, tips and tricks to share with us all! Take a look below to see what you could make and discover! 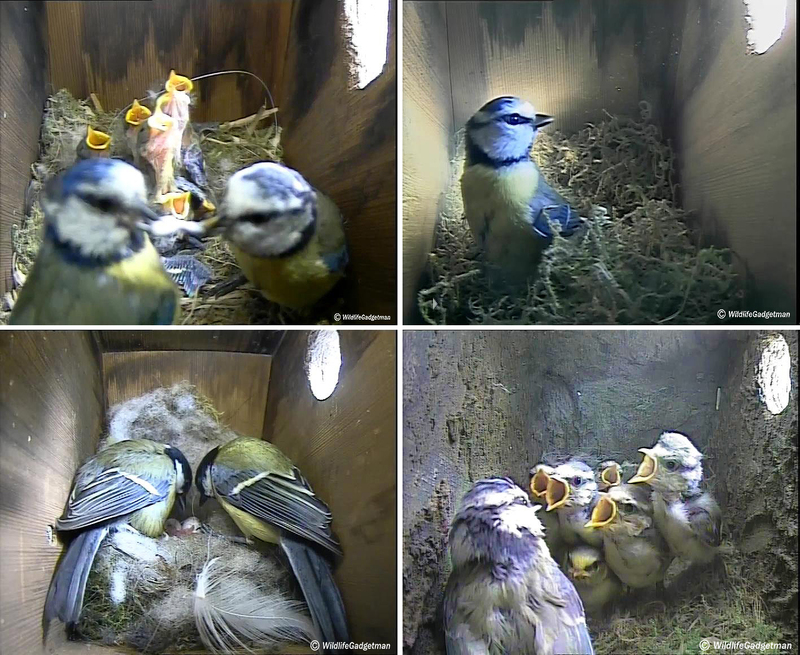 I’ve loved watching the birds visiting the nest boxes in my garden over the past few months. But with all that activity it’s important to make sure we keep things nice and clean to ensure our garden bird visitors remain fit and healthy. Mucky, bug infested bird boxes can lead to disease and seriously affect the health of the birds visiting our gardens so it’s important that we make sure they’re kept spick and span. Technology has become an integral part of our lives. Whether studying at school or playing at home, it's very likely that you will use a smartphone or tablet at last once, probably much more, every day. When I go exploring for wildlife, I always take my smartphone or tablet with me as they are great tools for planning your adventure and recording it too. If you love Star Wars as much as I do I know you'll want a go at this Tie Fighter bird feeder. The materials are a bit difficult to find, but the result is amazing! Take a look and may the force be with you. These penguins are just great for winter and so easy to make! You just need to have a rummage around your house and get busy! Take a look to see how you can make these fun feeders. Want to learn how to make your very own time-lapse video? It's easier than you think! Take a look at this tutorial video and give it a go! Want to make a home for a hog? It's perfect when it comes to hibernation, and great as a den in the day time. Follow these steep by step instructions! It's easy!